It is software program developed by Helmut Buhler. 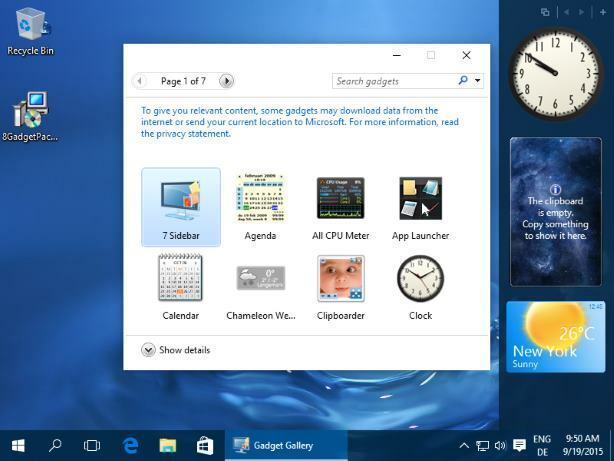 8GadgetPack helps to integrate other gadgets and customizes the desktop. 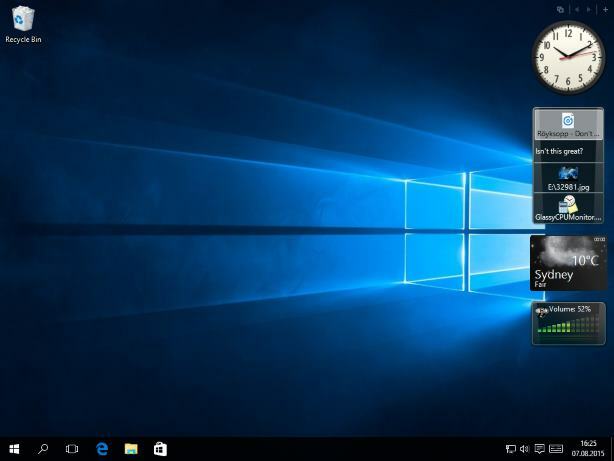 It is made to uplift your productivity on PC. 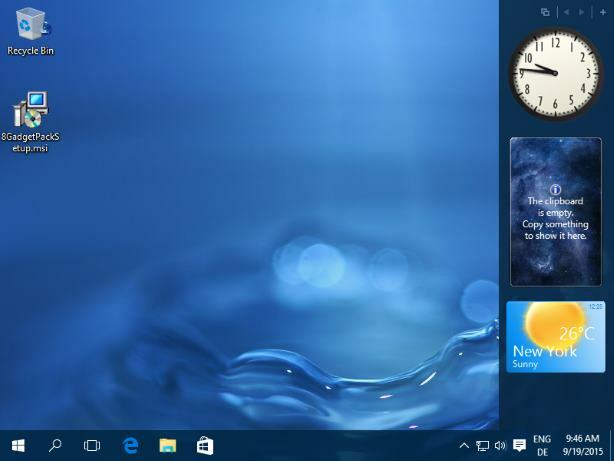 It assists you to get access to immediate information like weather forecast, time, items of clipboards etc. 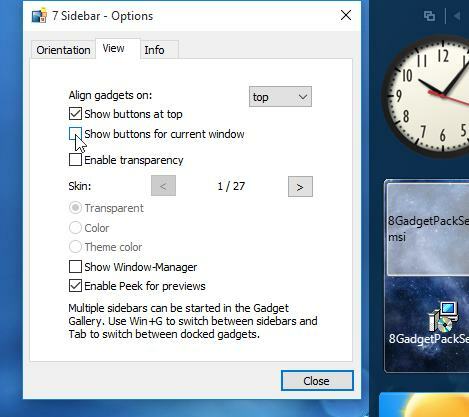 The program also allows you to choose between two display modes – Custom and Sidebar mode. To Sidebar mode holds the preferred gadgets in a panel and custom mode helps you to choose the devices you permanently need on your desktop. 8Gadget Pack comes with a collection of 50+ widgets that are highly popular ones. 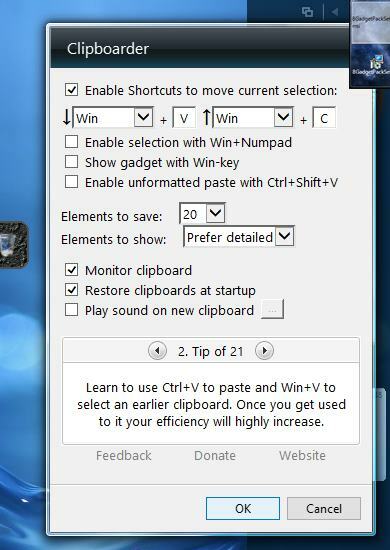 On double clicking anything of your interest will add it to the PC. You can drag that and set modifications like opacity and tugging the options. There are buttons to make the gadgets smaller or larger. You can also uninstall the gadget package if you want and make fresh ones. 8GadgetPack is both anti-virus and anti-malware. It is completely free with no restrictions. The latest version 25.0 was released last year and is available only in English. Few of the abundant features and highlights include CUP Meter, 7 Sidebar, Agenda, Calendar, App Launcher, Control System, Clipboard, Reminder, Clock, Currency, Drives Meter, Drives Info, Weather, Slide Show, Sticky Notes, Power Status Picture Puzzle, Volume Control, Top Five, Wave Radio, Mini Radio, Multi Meter, Network Monitor II, Mail Checker, Google Mail, Feed Headlines and some more. The file ize of the latest setup is 21.7MB make it a light-weight system utility. 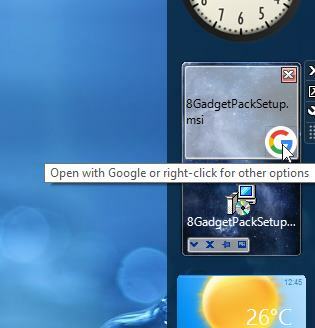 8GadgetPack is licensed as Freeware for Windows (32-bit or 64-bit) operating system/platform from windows widgets without restrictions. It works with good speed, delivers precise information and uses a low amount of space of your PC’s CPU and RAM. What do you think about 8GadgetPack? 8GadgetPack 25.0.0 Dec 8, 2017 2017/12/08: Version 25.0 released. Changed the provider in the Currency Meter gadget to Google Finance to make it work again. Thanks to tomazov for the fix! Some minor improvements to Clipboarder.